Thanos’ epic and heartbreaking quest is highlighted in a new fan-made trailer for Avengers: Infinity War. The years of waiting for Josh Brolin to truly debut as Thanos paid off in a big way. 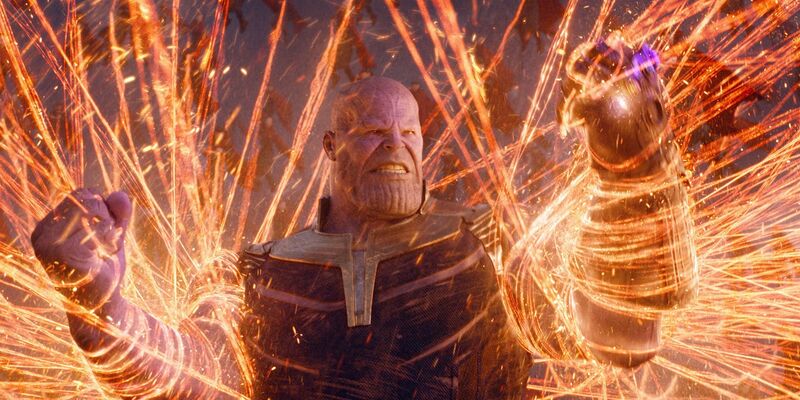 Marvel Studios put a ton of pressure on themselves, Brolin, and Infinity War‘s writers and directors to make sure the Mad Titan delivered. If he didn’t, the entire MCU until this point could’ve been for naught. Thankfully, Thanos made a giant impression on audiences earlier this year. He’s already being called Marvel’s best villain by many. Even those that don’t want to immediately crown him king will admit he’s extremely high on the list. This was the result of Brolin’s terrific performance, but also a story that put Thanos at the focus. It was a move that obviously paid off for the movie, and now his entire journey is set up in amazing fashion thanks to a fan edit. One of the growing trends online is to cut trailers for movies in the style of recently released and popular ones. CarpenterSound is here to give everyone an Avengers: Infinity War trailer in the style of Godzilla: King of the Monsters‘ epic San Diego Comic-Con trailer. Pulling footage from across the entire movie (which is now possible thanks to the film’s digital release), Thanos’ victory and heartbreak is featured in the trailer above. This is undoubtedly an epic trailer that is sure to make fans eager to rewatch Infinity War. However, as an actual trailer for Infinity War, it would be much more spoiler heavy then anything Marvel actually released. Pivotal moments like Spider-Man starting to be dusted, Cap trying to stop Thanos with an Infinity Gauntlet nearly full of Infinity Stones, and more are featured in the footage. Of course, with a box office gross over $2 billion worldwide, there shouldn’t be much worry that anyone watching this is actually getting spoiled. And that’s where the trailer can really shine. Although the aforementioned scenes may be spoilers to those who haven’t seen the movie, fans checking out this edit will get to relive the highs and lows. One of the film’s best moments – Stormbreaker wiping out Outriders in Wakanda – is teased, while the emotional turmoil of Thanos sacrificing Gamora will break hearts all over again. There’s not a bad beat to the edit, as it balances the action with the doom and gloom, making this another great piece of content to come out of the movie.